- The cuff is made out of 2mm sterling silver wire. 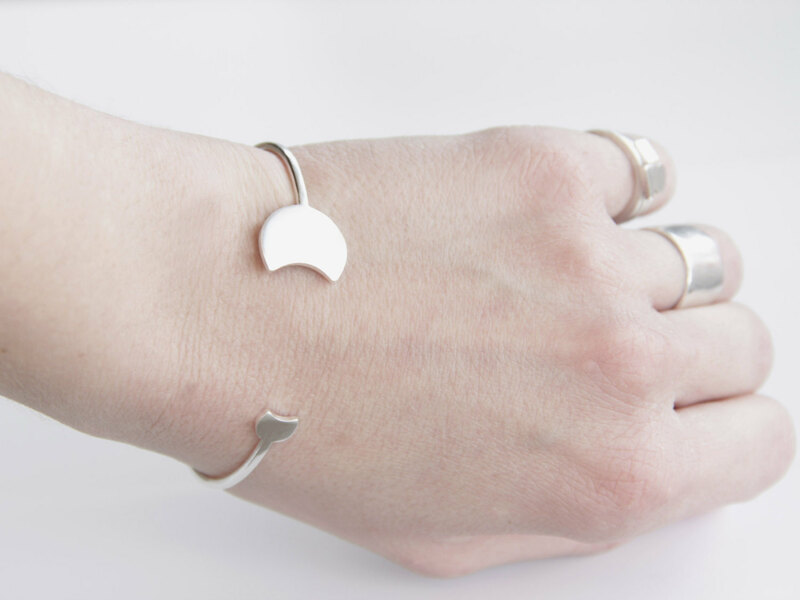 - The two solar pieces are hand cut from 1.5mm sterling silver sheet. - The large solar piece measures 1.5cm (0.59inch) in diameter, and the small solar piece measures 6mm in diameter. 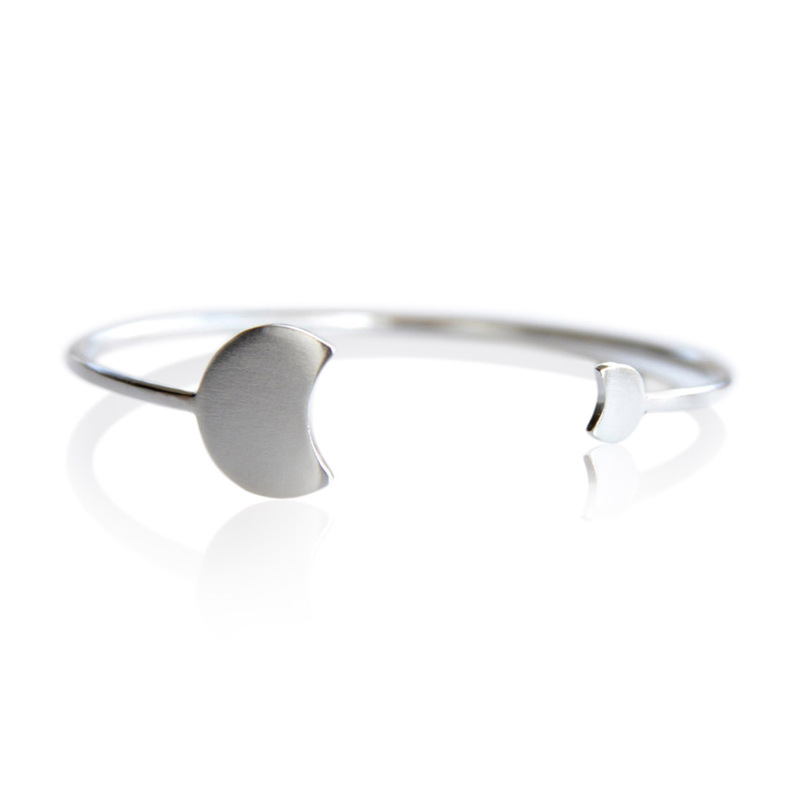 - The cuff has a 2.5cm (0.98 inch) opening, semi-adjustable. - Hand forged with a bright matte finish.